The Premium Subwoofer from MB Quart is the most technologically advanced bass transducers the company has ever designed in its 50+ year history. The demands of mobile audio subwoofer systems are more strenuous than any musical application today. The Sound Pressure Levels that can be developed inside the vehicle can approach those of live concerts, that is big sound for a subwoofer! Therefore, the Premium Series is designed to make very deep, musical bass and handle the power from the biggest amplifiers available. The Premium Subwoofer is built on a heavy duty Deep Drawn Stamped Steel basket for increased rigidity. 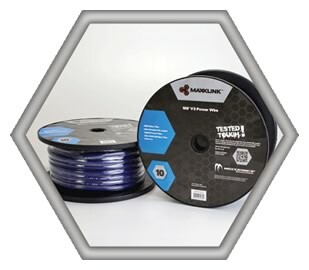 This foundation allows the engineers to develop features like a two tone woven glass fiber cone and dust cap with a 2.5" high temp aluminum voice coil. The voice coil former is secured to dual mirror image treated spiders for very linear excursion in the voice coil gap. Premium is the finest Subwoofer MB Quart has ever designed! Now, your system can finally be complete. 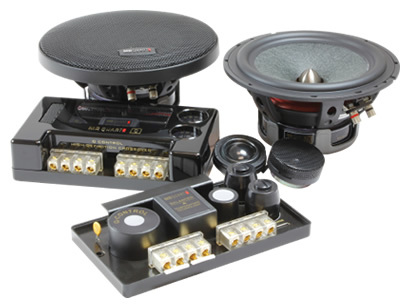 For additional flexibility in system design the Premium Subwoofer features a Selectable Parallel/Series Impedance terminal that allows the subwoofer to be either 2 or 8 Ohms. 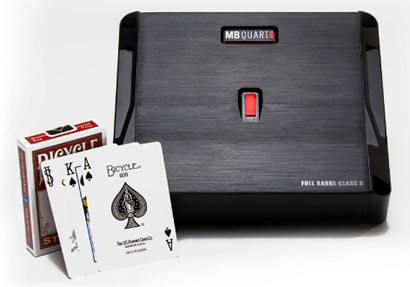 When only the best will do, MB Quart offers the world renowned 'Q' Speakers. The QS216 offers the highest standard sound experience through innovative materials and superior workmanship that has no equal in the industry. The mid-bass woofer is made from Nomex PMI composite material designed to be both light in weight and rigid. This unique combination allows for a flat linear response and incredible low frequency reproduction with high sensitivity. The QS216 touts a 40mm WideSphere™ Teteron silk dome tweeter allowing flawless reproduction of sound and improved durability. The high definition crossovers offer advanced "Q Control" for the tweeter and midrange with variable points of attenuation. To complete the package of superior performance, the Q crossovers feature MB Quart Balanced Temperature Control Technology. This technology ensures the highest quality sound, even throughout lengthy periods of high power listening. Brand new from the MB Quart engineers is the Reference MYKRO, a full range Class D line of amplifiers. MYKRO amps feature the same musical technologies of Q-Stasis pre-amplifier section for reduced input noise and FLUID-FETS output devices along with specific technology that allows us to develop a compact size that is highly efficient with very low heat output. These characteristics make the MYKRO Full Range Class D designs perfect for systems that require big power in a smaller space. MYKRO is CEA compliant and available in 1, 4 and 5 channel configurations. Redtop - The REDTOP® high-performance AGM battery is the ultimate starting battery designed to deliver a powerful burst of ignition power for a reliable start-up every time, whether it's used as a truck battery, motorcycle battery, or for other applications. 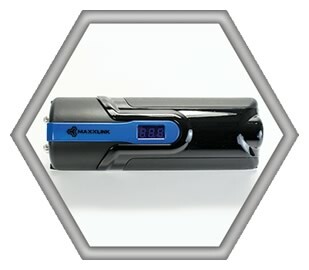 The REDTOP will outperform and outlast traditional batteries in demanding cranking/starting applications. With impressive high-power delivery and extreme resistance to the most common causes of battery failure, the REDTOP is ideal for trucks, SUVs, hot rods, street cars and other applications that require a spillproof starting battery. Its reputation as a truck battery or motorcycle battery is unsurpassed. 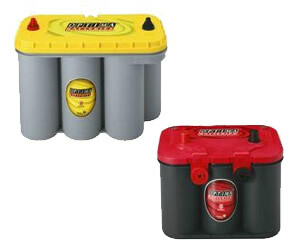 Yellowtop - The YELLOWTOP® high-performance AGM battery has everything you need. It's one of the few true dual-purpose automotive batteries available, and performs above expectations as a tractor battery, forklift battery, or for other applications. With premium cranking power and impressive cycling capability, this heavy duty battery is also perfect for modern accessory-loaded vehicles. The YELLOWTOP can repeatedly be brought back from deep power drains to full charge, so it can power plenty of electronics and still start you up time after time. 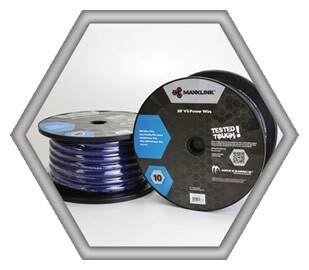 Low internal resistance also provides more consistent power output and faster recharges. 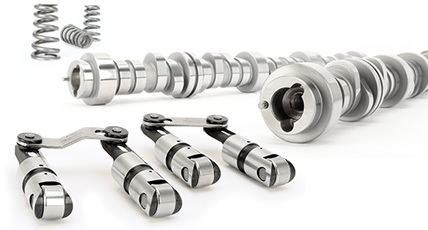 Systems that include hubs will have a set of 6061-T6 billet machined hubs with Timken or SKF bearings installed. Hubs are pre-assembled with bearings, races, studs and packed with Redline synthetic grease. The two-piece manifold design provides. Convenient access to the runners for porting. When you're serious about power for your LS or new LT1 engine, call in the AirForce! The all-new MSD Atomic AirForce intake manifold delivers improved airflow and distribution to improve the performance of stock and modified engines. Atomic AirForce accepts an OEM or 103mm throttle body as well as stock or aftermarket fuel rails including MSD's Atomic LS EFI system. The intake bolts on and is supplied with new gaskets and hardware for a direct bolt-on package. When you run an LS engine, performance begins with the introduction of air into the intake manifold. MSD's new 90mm LS Throttle Body answers the need for a high quality throttle body with a cable driven throttle mechanism that bolts to most factory and aftermarket intakes. 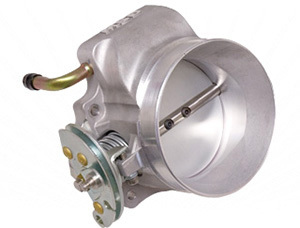 MSD invested the time and resources to develop a cast throttle body assembly in order to achieve a unique parabolic bore form. 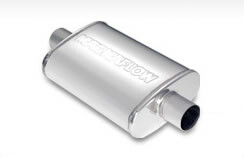 This design helps deliver excellent driveability characteristics during part throttle that typical billet straight bore throttles just can't deliver. We incorporated factory style bearings and seals on the throttle blade to achieve a very robust design that can withstand temperature swings seen in street applications. 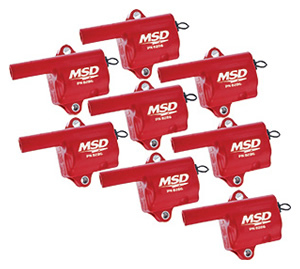 MSD Ignition's Multiple Spark Coils (MSC) will fit in place of the stock Gen-III GM coils and connect directly to the factory connec­tors. Once installed, you'll have the power and performance of higher energy sparks, crowned with MSD's multiple spark discharge. Increased spark energy and voltage, along with multiple spark capabilities, help improve the combustion process of the fuel mix­ture to create an efficient burn. This results in improved throttle response, smooth idle and quick starts, plus increased high rpm performance!There are two types of housings for the MSD Coils. Check your ap­plication for the visual match. 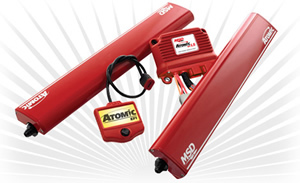 MSD is making Atomic EFI the simple solution for your LS EFI needs. Start your installation by knowing that you're getting everything you need for your crate engine. 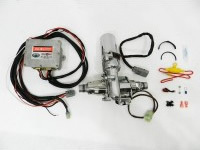 These kits are each designed for a specific engine and are supplied with the Rail Assemblies, Handheld Controller, Power Module and Harness, Wide-Band 02 Sensor and Bung, -6 fittings for the ifuel rails and hose for the cross-over. Our new DynaForce Starter is designed to crank over the highest compression engines on a hot day in Death Valley. Not that too many race cars are sitting in Death Valley, but it's good to know that you have the oomph to make it happen. The DynaForce Starter features all new components beginning with a three horsepower motor. This power is used to crank over the reduced 4.4:1 gear set to deliver great torque to the engine's ring gear to get the engine turning. The armature is balanced during assembly and is guided by two ball bearings for smooth engagement and thousands of starts. The downsized housing clears most headers and oil pans, but just in case, we made the billet mount so it can be clocked in different positions to help in tight applications. The assembly is powder coated MSD red and will stay looking good, even though it's underneath your car. Forged, fully-machined compressor wheel featuring next generation aerodynamics Sold as CHRA & compressor housing; turbine housing options available Optional turbine housings feature a T4 divided or large frame divided inlet Ported shroud compressor housing to increase surge resistence Outline interchangeable with the ball bearing GT4202R. 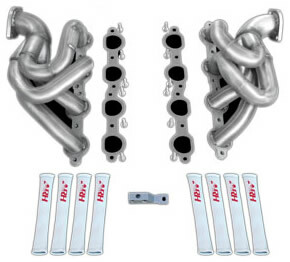 If your Gen 5 LS3/L99 Camaro could use a real boost in performance but staying 50 States Legal is a requirement, American Racing Headers has exactly what you need. 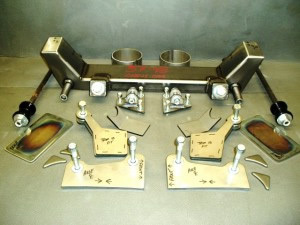 New for 2012 is our 100% US made 304 S/S Shorty Header system. Made with all the great features ARH is known for including 3/8" thick flanges with hand ported inlets, tube routing to optimize cylinder scavenging and merge collectors with scavenger spikes,this could be the single best exhaust upgrade while being 50 States Legal. Testing on a bone stock L99 netted gains of 10RWHP and 13RWTQ. 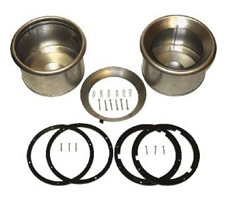 The kit also includes new ARH wire insulators, Grade 8 Hardware and Flat Out Racing gaskets. This is a polished unit that includeds everything needed to create your own "Electra-Steer 2" column. Electric motor is good for vehicles with a total weight of up to 4500lbs. Wiring is simple with only a main power, ground, indicatior light, and 12v ignition on wire. 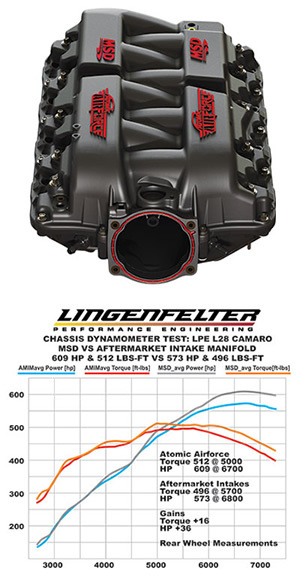 Unisteer® Performance Products is a manufacturer of specialty steering systems and steering components for street rods, classic cars & muscle cars as well a large variety of custom vehicles. Unisteer® Performance is a division of Maval Mfg, and is supported Maval's stellar manufacturing, engineering, and R&D capabilities. What does this mean to you, the customer? It means RideTech is the inventor of this technology, not an imitator. It also means that we will continue to develop and refine new variations of the ShockWave to meet your specific needs. The ShockWave mounts like a coilover and replaces the coilspring with an adjustable air spring for a huge range of tuning options. 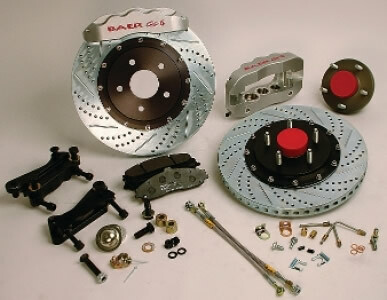 It provides a simple, hightech way to provide the ultimate in adjustable suspension design. 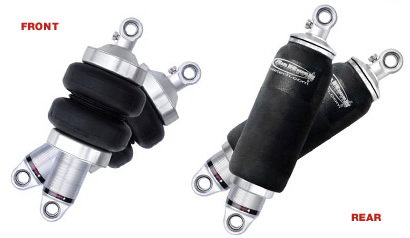 With more options than ever, the ShockWave is the foundation for a RideTech air suspension. Proudly manufactured at our shop in Baltimore Ohio. Ridetech offers the 4 link rear suspension in a triangulated style. Very similar in construction to the parallel 4 link but the uppers bars are placed at an angle to the lowers. When connected securely to the axle and the frame they form a "triangle" which keeps the rear axle centered under the vehicle. 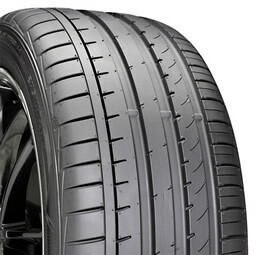 The AZENIS FK453 is the latest generation of Falken's flagship ultra high performance tires available in a wide array of sizes from 17-inch to 22-inch rim diameters. Fitments include popular staggered applications making this tire suitable for high-end vehicles. In addition, the FK453 features the latest developments in noise-absorption technology which help provide a quiet and comfortable ride. A silica enriched compound is utilized for confident dry and wet performance. Rated with W and Y speed ratings, this tire is composed of nylon-reinforced layers allowing for enhanced high-speed stability, helping to create the ultimate driving tire. 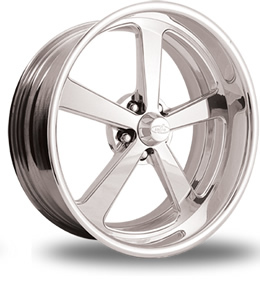 Intro Custom Wheels is a leading designer and fabricator of custom wheels. Utilizing the latest in high speed CNC state-of-the-art machining, Intro can offer premium quality wheels, with the latest in innovative designs, at a fraction of the cost normally associated with premium forged billet wheels. Content Copyright 2012. BOOSTED54.COM. All Rights Reserved.